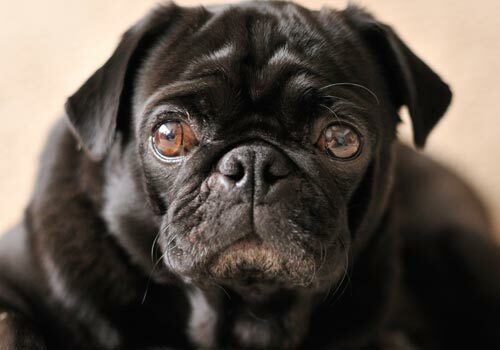 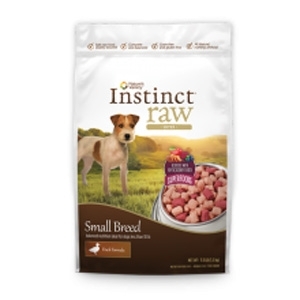 Instinct® Raw Small Breed provides the pure, unaltered nutrition of raw in a tailored solution just right for small breed dogs – rich in probiotics, antioxidants, and glucosamine and chondroitin. 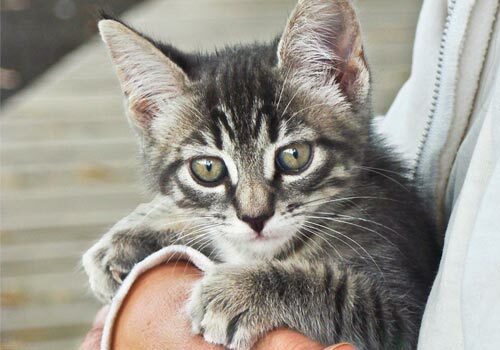 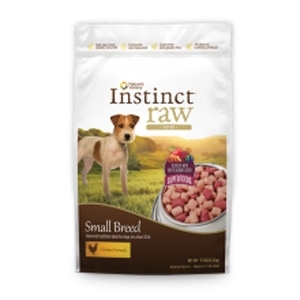 Instinct Raw Small Breed also has added superfood bites to provide an extra boost of nutrients for immune health. 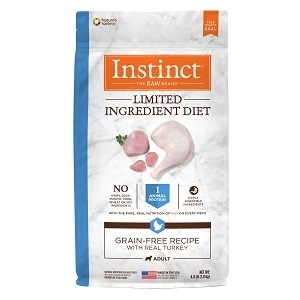 Each Instinct Raw Frozen Diet is formulated to mirror a dog‘s ancestral diet: 95% turkey, organs and bone; 5% vegetables, fruits, and wholesome ingredients; and 0% grain and gluten. 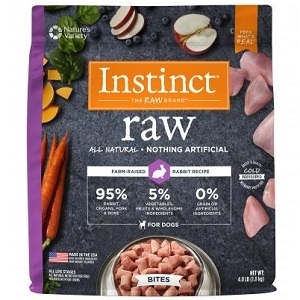 Each Instinct Raw Frozen Diet is formulated to mirror a dog‘s ancestral diet: 95% rabbit, pork, organs and bone; 5% vegetables, fruits, and other wholesome ingredients; and 0% grain and gluten. 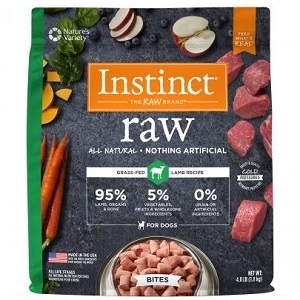 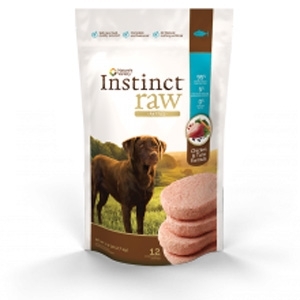 Each Instinct Raw Frozen Diet is formulated to mirror a dog‘s ancestral diet: 95% lamb, organs and bone; 5% vegetables, fruits, and other wholesome ingredients; and 0% grain and gluten. Each Instinct Raw Frozen Diet is formulated to mirror a dog‘s ancestral diet: 95% duck, turkey, organs and bone; 5% vegetables, fruits, and other wholesome ingredients; and 0% grain and gluten. 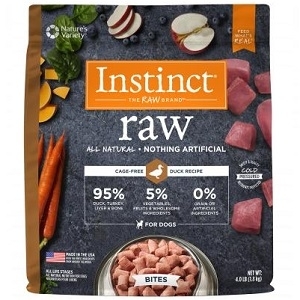 Each Instinct Raw Frozen Diet is formulated to mirror a dog‘s ancestral diet: 95% chicken, organs, bone and tuna; 5% vegetables, fruits, and other wholesome ingredients; and 0% grain and gluten. 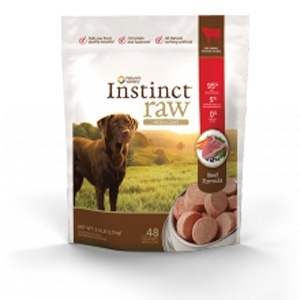 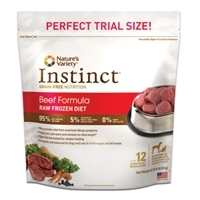 Each Instinct Raw Frozen Diet is formulated to mirror a dog‘s ancestral diet: 95% beef, organs and bone; 5% vegetables, fruits, and other wholesome ingredients; and 0% grain and gluten. 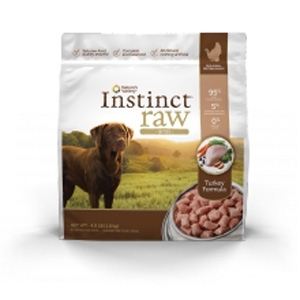 Each Instinct Raw Frozen Diet is formulated to mirror a dog's ancestral diet: 95% turkey, organs and bone; 5% vegetables, fruits, and wholesome ingredients; and 0% grain and gluten. 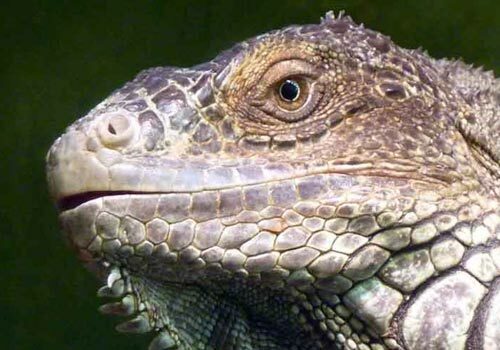 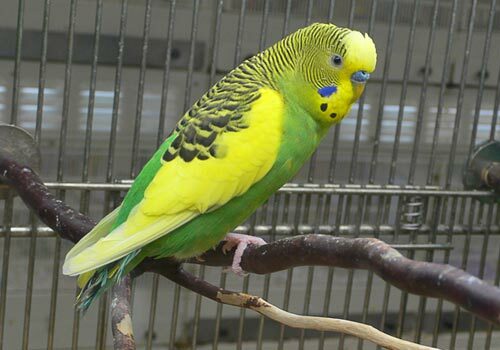 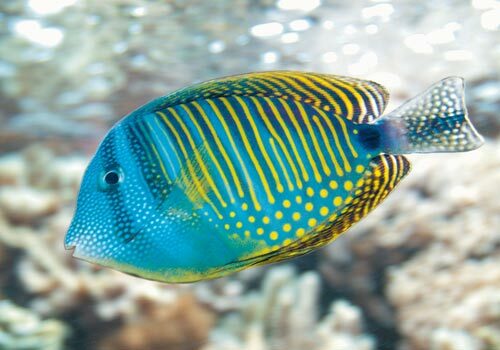 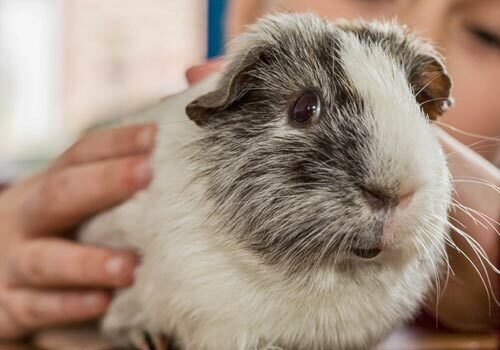 There's never been an easier way to feed a biologically appropriate, raw food diet. 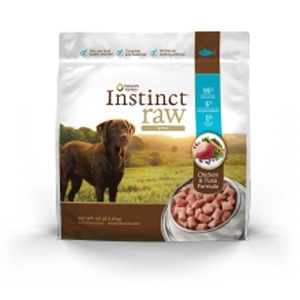 Each Instinct Raw Frozen Diet is formulated to mirror a dog‘s ancestral diet: 95% chicken, organs, bone and tuna; 5% vegetables, fruits, and other wholesome ingredients; and 0% grain and gluten. 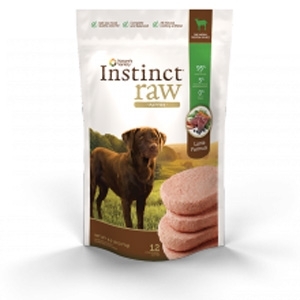 There’s never been an easier way to feed a biologically appropriate, raw food diet.